Ouachita County is named for the Ouachita River which name derived from the Choctaw words “owa” meaning “hunt” and “chito” meaning “big” and means “big hunt”. 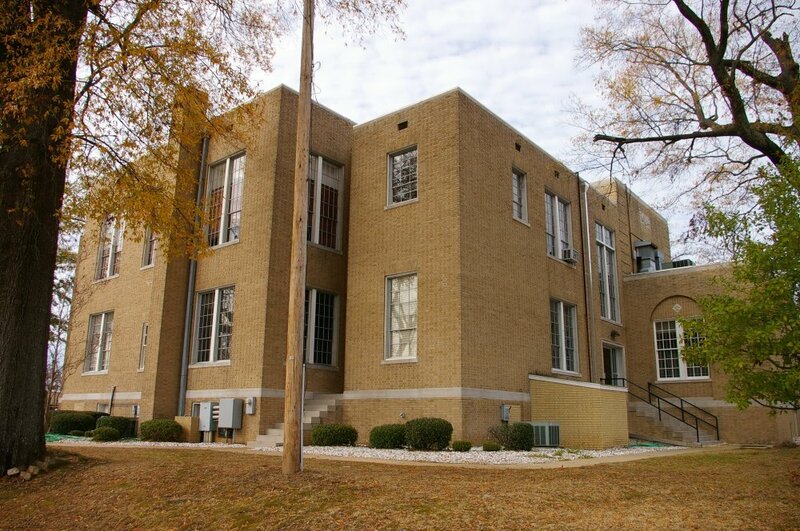 Description: The building faces north and is a two story buff colored brick and concrete structure. The north front has two columns at the central entrance on the first story rising to a small balcony on the second story. On the second story has a large double window. 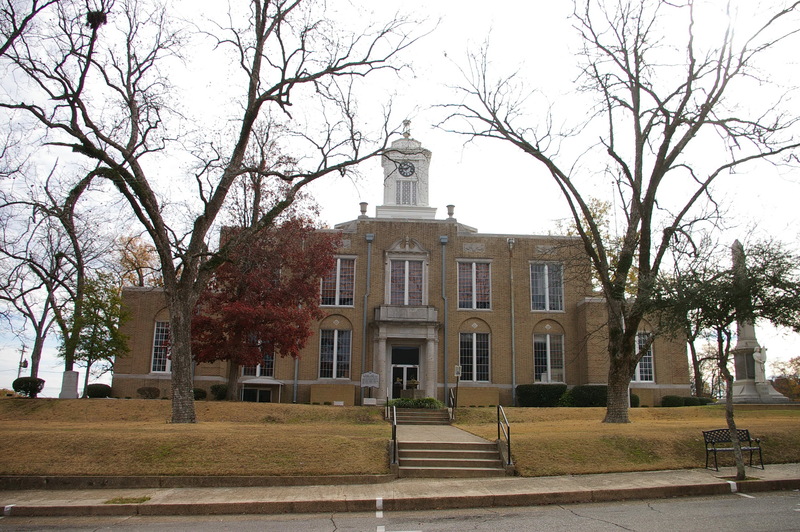 There are large double windows on the first and second stories. 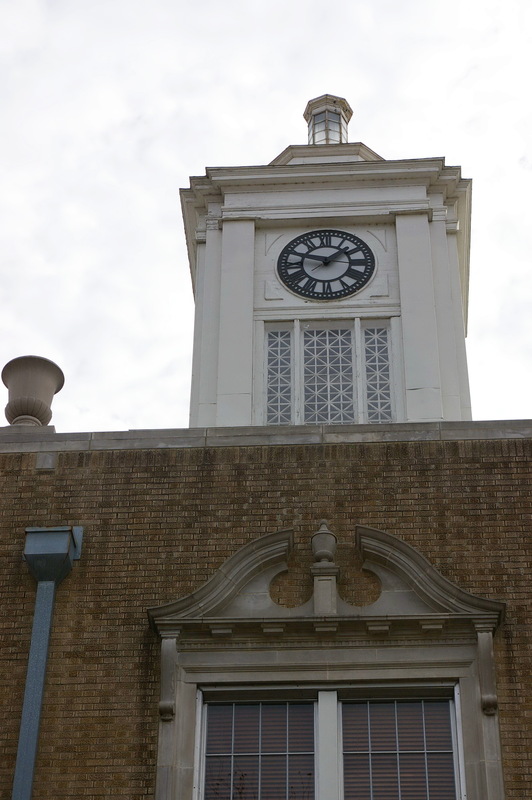 On the center of the roof is a square white colored clock tower with dome. 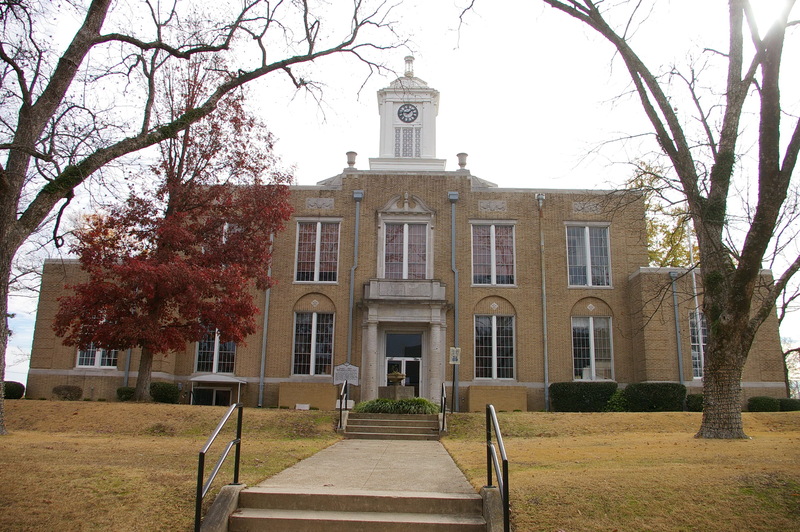 The building has east and west wings. The roof line is flat. 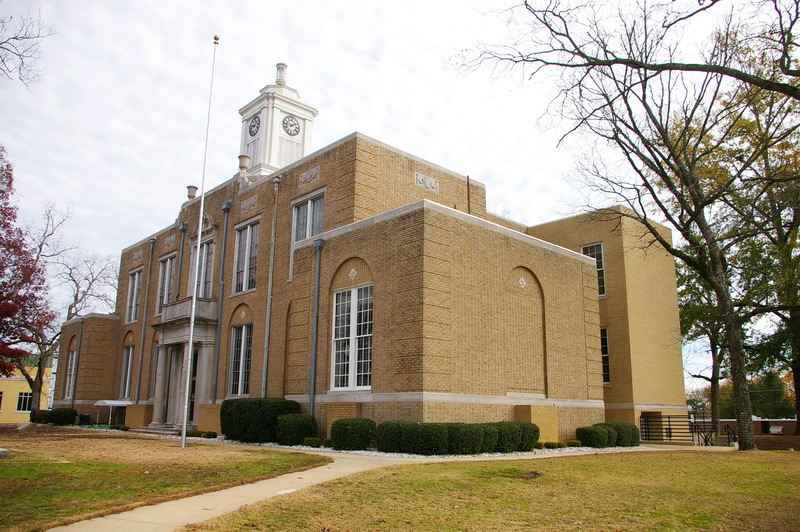 The building was renovated in 2002. The architect was Don Renshaw and Larry Rogers. 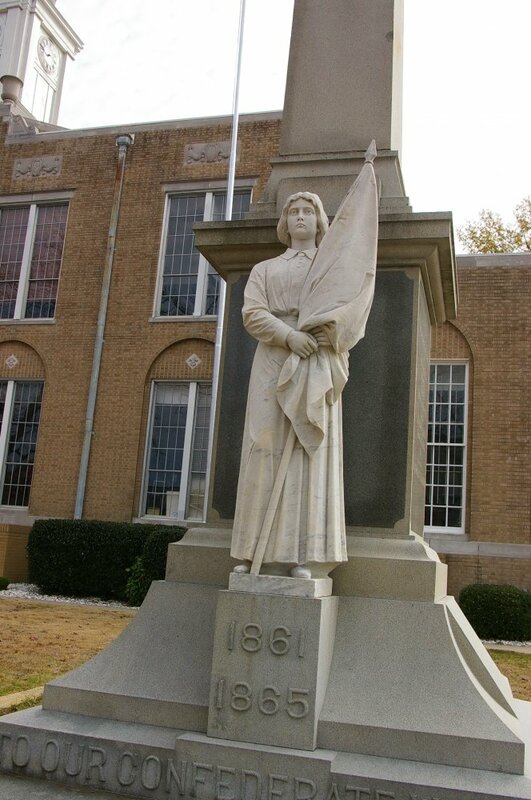 Note: The first courthouse was built in 1842. 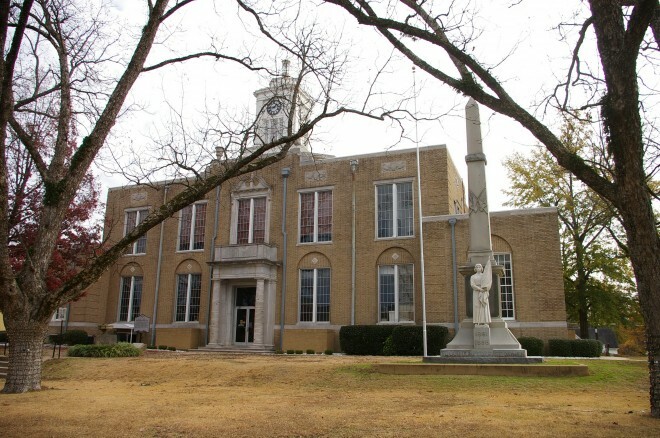 The previous courthouse was designed by Thomas Harding II and was damaged by a tornado in 1931. 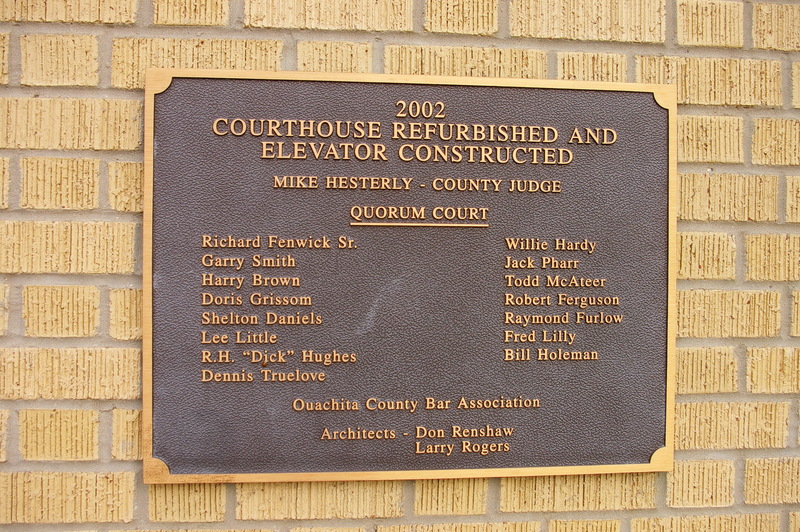 The cost of construction of the present courthouse was $46,000.